Anthony McCall, Sprueth Magers / Ambika P3 exhibition, London 2011. Phenomenologies of Projection, Aesthetics of Transition: Anthony McCall 1970-79, 2001- is an exhibition and symposium, awarding equal priority to visual and critical stagings of the iconic but rarely exhibited works of Anthony McCall, a seminal figure in American avant-garde cinema. McCall's 'Solid Light' films of the 1970s dispensed with the film screen and filled installation spaces with atmospheric haze to specify cinematic ontology in the phenomenologies of projected light. They form an essential part of the canon of Structuralist film. Following a two-decade hiatus from contemporary art, McCall returned to creative practice in the 2000s with works entirely remediated by the use of digital cinema, even as they retain conceptual continuity with art from the '70s. This exhibition-focused framing of key moments in an unusually segmented oeuvre places the artist into conversation with curators and scholars to consider the implications of McCall's cognized transition between media formats--from analog to digital cinema--and to offer a critical assessment of his future-oriented legacy. Exhibited works include You and I, Horizontal (2005, DV), Line Describing a Cone (1973, 16mm), and Line Describing a Cone 2.0 (2011, DV). Anthony McCall converses with Chrissie Iles, Tom Gunning, Hamza Walker, and Daniel Morgan. Curated by Michelle Menzies. Anthony McCall is a major artist of American avant-garde cinema. His 'Solid Light' films, begun in 1973, represent an intensely corporeal, sensuous meditation on the medium of film and the politics of audience participation in its display. Occupying a space between sculpture, cinema, and drawing, McCall has participated in significant historical exhibitions of expanded cinema, including Into the Light: the Projected Image in American Art 1964-77 at the Whitney Museum of American Art (2001-2), The Expanded Screen: Actions and Installations of the Sixties and Seventies at Museum Moderner Kunst, Vienna (2003-4), and Beyond Cinema: the Art of Projection at Hamburger Bahnhof, Berlin (2006-7). His works form a part of major public art collections worldwide, including the Tate Gallery, London; the Museum of Modern Art, New York; Whitney Museum of American Art, New York; the Musée National d'Art Moderne, Centre Georges Pompidou, Paris, and Museum für Moderne Kunst, Frankfurt. 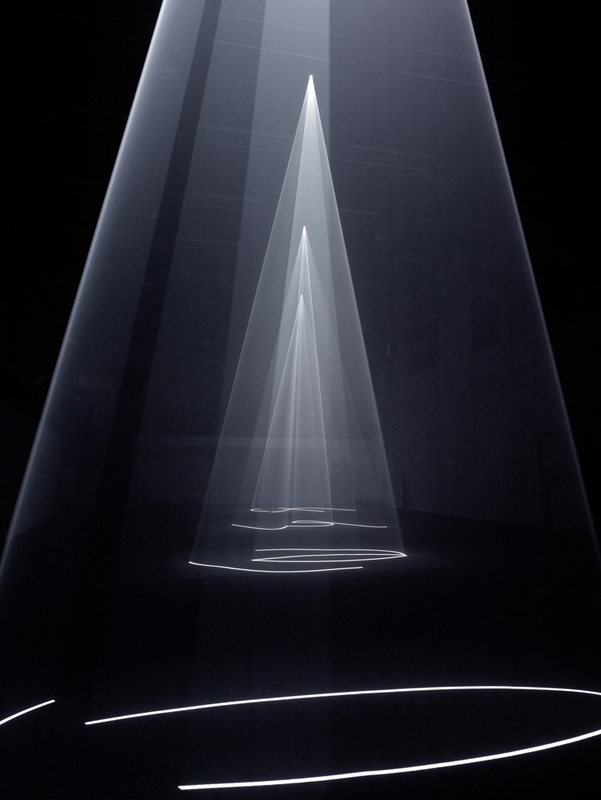 A solo exhibition, Anthony McCall: Five Minutes of Pure Sculpture, will open in April 2012 at the Hamburger Bahnhof, Berlin. Anthony McCall lives and works in Manhattan. Tom Gunning is the Edwin A. and Betty L. Bergman Distinguished Service Professor in the Departments of Art History and Cinema and Media Studies at the University of Chicago. His publications have concentrated on early cinema and the culture of modernity from which cinema arose, and his concept of the "cinema of attractions" is widely regarded as a canonical contribution to the field. His books include The Films of Fritz Lang (2000) and D. W. Griffith and the Origins of American Narrative Film (1991). Gunning was awarded a Distinguished Achievement Award from the Andrew W. Mellon Foundation in 2009 and is currently at work on a project titled Poetics of the Moving Image. Chrissie Iles is a Curator at the Whitney Museum of American Art in New York, specializing in film, Minimalist and process-based art of the sixties and seventies, and film and video installation. She curated the landmark exhibition Into the Light: The Projected Image in American Art 1964 - 1977, a major survey of historical film, video and slide installations from the sixties and seventies. Iles has published extensively on the work of, amongst others, Gary Hill, Douglas Gordon, Dan Graham, Matthew Barney, Yoko Ono, Sol LeWitt, Dan Flavin, Marina Abramovic, James Coleman, Marcel Broodthaers, Bruce Nauman, Stan Douglas, and Marcel Duchamp. Michelle Menzies is a Ph.D. Candidate in the Department of English Language and Literature at the University of Chicago. Her dissertation, Archives of Experience: Toward a Digital Aesthetics, argues a materialist genealogy of movement for digital aesthetics through philosophical analyses of Henri Bergson, Walter Benjamin, and Michel Foucault, and case studies taken from early film, poetry, expanded cinema, science film, and contemporary art: particularly the Lumière cinema, Ken Jacobs, Hollis Frampton, Anthony McCall, Frank O'Hara, Mark Lewis, Tacita Dean, and Iñigo Manglano-Ovalle. Daniel Morgan is Assistant Professor of English and Film Studies at the University of Pittsburgh, with a secondary appointment in the Department of Philosophy. His work focuses on the intersection between film and philosophy, with particular attention to questions of aesthetics. He has written articles on the history of film theory, André Bazin, non-fiction film, projection, and the films and videos of Jean-Luc Godard. His book Late Godard and the Possibilities of Cinema (2012) is published by the University of California Press. Morgan's current research involves the history and aesthetics of camera movement, the intersection of realism and modernism in film theory, and problems of digital style and aesthetics. Hamza Walker is Associate Curator and Director of Education at the Renaissance Society at the University of Chicago. He is also on faculty at The School of The Art Institute of Chicago. He has written for Trans, New Art Examiner, Parkett, and Artforum, and penned catalogue essays on Darren Almond, Rebecca Morris, Giovanni Anselmo, Thomas Hirschhorn, Moshekwa Langa, and Katharina Grosse. Past curatorial projects at the Renaissance Society include Several Silences (2009); Black Is, Black Ain't (2008); Kate&#345;ina Sedá (2008); Meanwhile, in Baghdad (2007); All the Pretty Corpses (2005); A Perfect Union...More or Less (2004); and New Video, New Europe (2004). Walker was recipient of the 2010 Ordway Prize. Founded in 1992, the Film Studies Center serves as the support facility and research center for the Department of Cinema and Media Studies (CMS) at the University of Chicago. It provides an ideal site for students and faculty to explore film and other media and plays a vital role in fostering serious interdisciplinary film scholarship. The Center supports classroom teaching, curricular film screening, and individual research in its dedicated screening room and media classrooms, and through the development of its video library and archival film collection. In addition to providing curricular support, the FSC hosts an array of public events programming: archival film screenings, conferences and symposia, workshops, and programs with visiting artists and film scholars.